At the Children’s, our social workers are committed to the well-being of our patients and their families. Their role is to assess the patient’s psychosocial needs and then to help establish goals. They work with the family, the multidisciplinary team and community partners to mobilize resources to assist the patient in achieving those goals. A big thank you to all our social workers for the amazing work they do with patients, families and fellow health professionals. “Pediatrics always had a place in my heart,” says Nancy Lee Saul, a social worker in the Neonatal Intensive Care Unit (NICU). Nancy has worked at the Children’s since 2001, and says she loves working in the NICU alongside a team of compassionate colleagues. Her greatest satisfaction comes when parents get to hold their child for the first time. “It’s a wonderful feeling when our team has made a difference for the families we help,” she says. 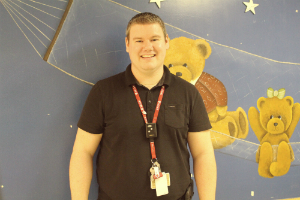 Matthew Park makes his mark as a social worker in the Pediatric intensive Care Unit (PICU) of the Montreal Children’s Hospital, helping patients and their families cope with a child’s severe illness. “Things change minute by minute in the PICU, we’re there to help care not just for the child, but for the parents as well,” he says. “Children have this incredible ability to manage things that we as adults sometimes couldn’t even fathom taking on. 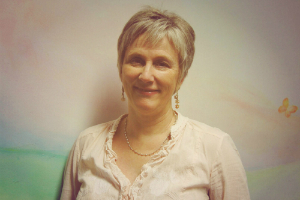 They’re so flexible and adaptable, and can always find something to strive towards,” says Patricia Gauthier, Professional Coordinator of the Social Services department at the Montreal Children’s Hospital. 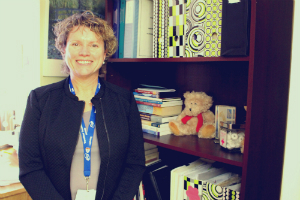 Having worked in a number of departments and clinics throughout the hospital prior to taking on her newest role, she believes social workers have a big part to play in medical teams by dedicating themselves to offer the best care to patients and their families.